Islam is the fastest growing religion in the world, according to Pew Research Center, there are about 1.6 bln Muslims in the world and they make up roughly 23 percent of the world’s population. The majority of the world’s Muslims live in Asia Pacific in countries like Indonesia and India even though traditionally areas of the Middle East and Northern Africa are traditionally associated with Islam. There are unique needs of Muslims when it comes to banking and finance. The Islamic Canonical Law, popularly known as Sharia is based on the teachings of the Quran and prohibits certain activities such as acceptance of specific interest which is considered usury (Riba) or investments in businesses which are contrary to Islamic acceptance for example alcohol. Recent interest in Islamic banking has risen with even the International Monetary Fund’s executive board holding the first ever discussion on Islamic Banking. Fintech and developments around Blockchain have been taking the world by the storm. The rise of cryptocurrencies like Bitcoin and developments in Blockchain have also touched the Islamic world. In fact, the UAE has already got a Bitcoin exchange by the name of BitOasis and they also offer services like a Bitcoin Wallet. BitOasis also offers services in Qatar, Kuwait, Bahrain and Saudi Arabia. There are also services in the APAC region like Bitcoin Indonesia and Coinbox in Malaysiathat offer Bitcoin-related services. In order to deeply understand this topic, we talked with Matthew J. Martin of Blossom Finance, a fintech startup based in Indonesia. Blossom Finance offers microfinance services that help entrepreneurs and small businesses. Matthew is a Muslim American based out of Indonesia and has worked with fintech startups like Boku and Xoom in the past. He told us that Bitcoin can be considered both a currency and a payment network and this distinction is important because the Sharia principles that apply vary. In understanding how Sharia looks at money, we are told by Matthew that there is a concept of Gharar (uncertainty) and contracts shouldn’t be unnecessarily uncertain. While Bitcoin was rather volatile in the past, there is stability now seen in Bitcoin over the last few years. There are also possibilities in Islamic Banking that may work in favor of Bitcoin as well. In the case of Bitcoin, there are two benefits that are clearly visible. 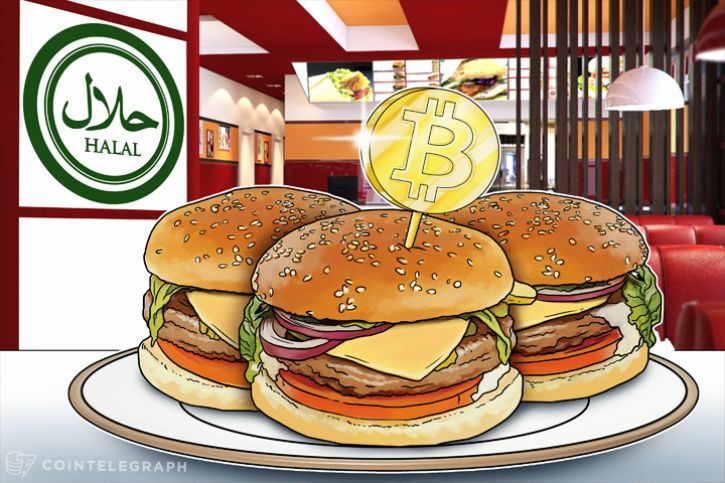 If Bitcoin is indeed more halal and fiat currencies are haram due to the way they originate, then creating settlement systems in cryptocurrencies like Bitcoin could make a great deal of sense. An interesting question is whether Bitcoin is money according to Islam.